This Website Is No Longer Active. 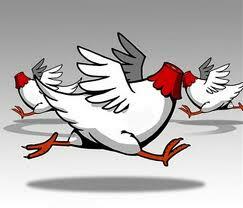 : Stop running around like "Headless Chickens." Educate Yourselves. Stop running around like "Headless Chickens." Educate Yourselves. THOSE IN POWER, THE LAW SOCIETY & THE ELITE - HAVE A BIG DARK DECEIVING SECRET. WAKE UP, TAKE CONTROL & REALISE EXACTLY WHAT WE ARE ALL DEALING WITH HERE! Knowledge really is Power ! Here's another smashing website that has just been sent to me. Well worth a look ! Great links and a lot to think about. A lot too take in. BREAKING NEWS: EMMA WEST RELEASED! FREE EMMA WEST - TODAY!